The Praxis II Business Education: Content Knowledge exam has been designed to test participants on their ability to teach the subject of business and economics and passing it provides credentials that are acknowledged in the vast majority of the United States. 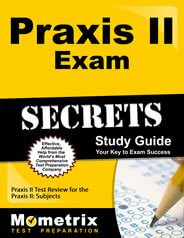 How Is the Praxis II Business Education: Content Knowledge Exam Administered? The Praxis II Business Education: Content Knowledge exam is administered via computer at testing sites around the country. Upon arrival at the testing center, participants will have a computer terminal assigned to them. After confirming that their name, candidate identification, photo and the title of the test is correct, they will be shown a “general directions” screen with more information about how to navigate the computer-administered test. The computer will keep the official test time. The test does permit the use of a four-function or scientific calculator, though participants are not required to do so. Graphing calculators are not permitted. How Is the Content on the Praxis II Business Education: Content Knowledge Exam Divided? What Specific Knowledge Is Necessary to Score Highly on the Praxis II Business Education: Content Knowledge Exam? Each section of the Praxis II Business Education: Content Knowledge exam dives into specific content categories with different levels of understanding and analysis required from participants. The accounting and finance section asks participants about the accounting cycle and process, interpreting financial systems, personal/business finance, savings/investments, credit management, risks, finances and financial institutions. The communication and career development section focuses on career research, résumés, applications, letters, presentations and memos, and employment communication. The exam’s economics section asks participants about economic indicators, fiscal policies, economic systems, market structures and the allocation of resources. Entrepreneurship is focused on forms of ownership, business plans and opportunities for entrepreneurs. The test’s section on information technology asks participants to demonstrate their understanding of ergonomics, security, problem solving and operations and concepts. For the law and international business section, participants should be familiar with the U.S. court system, trade relations and contracts and consumer and computer law. On the marketing and management section, participants need to understand marketing principles and management functions. The professional business education section requires knowledge around work-based learning, pedagogy and more details about professional business educations. How Can I Get a Passing Score on the Praxis II Business Education: Content Knowledge Exam? 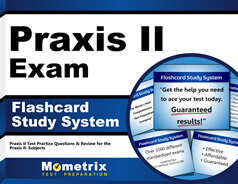 Because the Praxis II Business Education: Content Knowledge exam is based on selected-response and requires a broad understanding of basic business and economic concepts those preparing for the test should utilize a combination of flashcards and a study guide as they prepare. Mometrix Test Preparation offers both a customized study guide solution and a set of highly-effective flashcards that can and should be utilized by anyone hoping to get a passing score on the Praxis II Business Education: Content Knowledge exam.